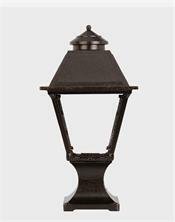 GL14F Regency Coach Light Flat Model Gaslight, Includes Wall Mount! 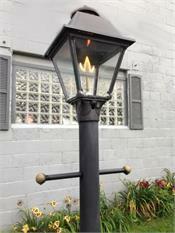 16 1/4" x 8 1/4"-NATURAL GAS ONLY! 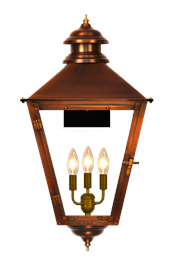 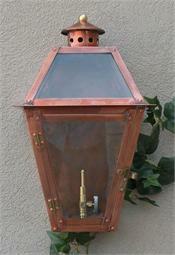 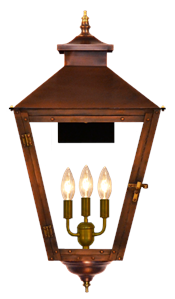 GL18CTCB Regency Chalmette II Model Gaslight, Includes Wall Mount! 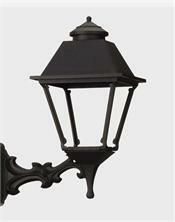 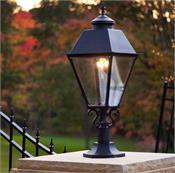 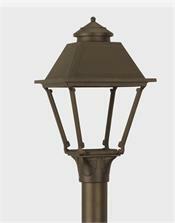 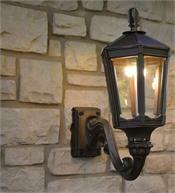 29" x 10 1/2"
We stock gaslights in black, with dual inverted mantles. 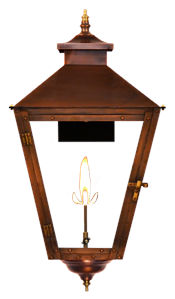 Please allow four weeks for delivery of others.